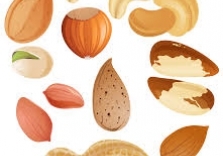 Do you know the difference between tree nuts and peanuts? Here is some information regarding these differences! On September 1, 2016, Illinois’ new concussion law went into effect. This legislation focuses on the required concussion management at the elementary, junior high, and high school levels. 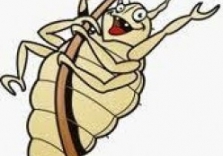 It’s the phone call all parents dread (and all nurses hate to make)... LICE! Due to a recent increase in the number of cases, we wanted to provide you with some tips and tricks for prevention. “Head lice are spread most commonly by direct head-to-head (hair-to-hair) contact. However, much less frequently they are spread by sharing clothing or belongings onto which lice have crawled or nits attached to shed hairs may have fallen. The risk of getting infested by a louse that has fallen onto a carpet or furniture is very small. Head lice survive less than 1–2 days if they fall off a person and cannot feed; nits cannot hatch and usually die within a week if they are not kept at the same temperature as that found close to the scalp. •Avoid head-to-head (hair-to-hair) contact during play and other activities at home, school, and elsewhere (sports activities, playground, slumber parties, camp). •Do not share clothing such as hats, scarves, coats, sports uniforms, hair ribbons, or barrettes. •Do not share combs, brushes, or towels. Disinfest combs and brushes used by an infested person by soaking them in hot water (at least 130°F) for 5–10 minutes. 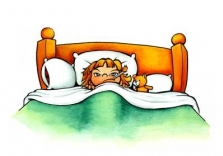 •Do not lie on beds, couches, pillows, carpets, or stuffed animals that have recently been in contact with an infested person. •Machine wash and dry clothing, bed linens, and other items that an infested person wore or used during the 2 days before treatment using the hot water (130°F) laundry cycle and the high heat drying cycle. Clothing and items that are not washable can be dry-cleaned OR sealed in a plastic bag and stored for 2 weeks. •Vacuum the floor and furniture, particularly where the infested person sat or lay. However, spending much time and money on housecleaning activities is not necessary to avoid reinfestation by lice or nits that may have fallen off the head or crawled onto furniture or clothing. If you have any questions or concerns, please feel free to contact your child’s school nurse. We are more than happy to answer any questions! For more information on our district’s practice, please see the attached document. ...is NOT good advice on how to take care of a scrape. Click here for some helpful tips on how to properly care for a wound.